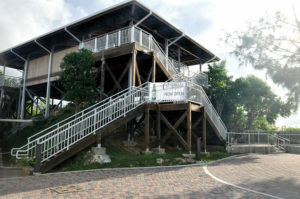 Terraza at Dos Amantes is a casual outdoor bar and café atop a wooden terrace overlooking Tumon Bay. The restaurant has a full bar menu with several draft beers, craft beers, import beers, wines, spirits, cocktails, soda, lemonade, coffee, iced tea and fruit juices. The food menu includes appetizers such as garlic truffle fries, sausages and a cheese plate as well as a bacon and cheddar burger, soft-serve ice creams, to-go foods and a kids menu. 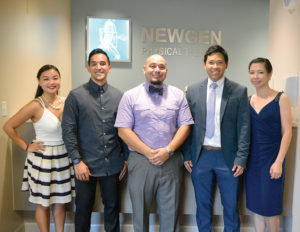 Located inside the American Medical Center in Mangilao, NewGen Physical Therapy offers general physical therapy services. It is the first clinic on island to use a Motion Analysis Lab to improve sports performance and assess movement in patients, as well as the first to offer a Parkinson’s exercise group and stroke survivor exercise group and vestibular rehabilitation. The clinic also provides neurological treatment for individuals who have had a stroke or with Parkinson’s disease, multiple sclerosis and chronic pain. Primo Distributors secured an exclusive contract for distribution of DualLiner bedliners for trucks on Guam. DualLiner products are made in the United States for American trucks by Ford, GMC, Chevy and Dodge for all model years. 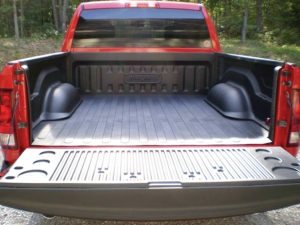 Unlike spray-in or carpet bedliners, DualLiner is a composite system around the trucks with UV-resistant rubber and a non-skid bed on the bottom to protect both the truck bed and the load. The Guam location of Navasana Spa, in the space formerly occupied by Mandara Spa, is one of five locations worldwide. 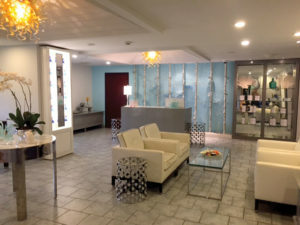 The spa offers a variety of services to include facials, heated treatments, such as the Aroma Stone and Bamboo massages and Balinese massage or deep-tissue massage. Couple massage services in a spa suite as well as in-room spa treatments for hotel guests are also available. Hours: 10 a.m. – to 9 p.m.
Honolulu Cookie Co.’s first shop on Guam offers the brand’s signature shortbread cookies in boxes and tins, as well as an a la carte station where customers can sample and create their own boxes of five, 10 or 20 pieces. 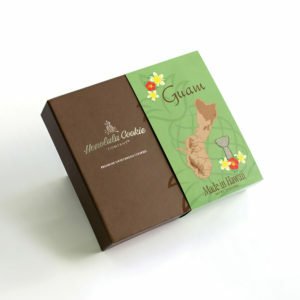 In addition to seasonal and standard packaging, the shop features Guam-inspired packaging only available on Guam. Cookies are available dipped in chocolate or white chocolate and in a variety of fruit and nut flavors. 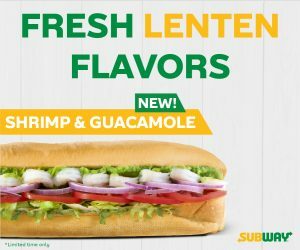 Hours: 10 a.m. to 11 p.m. 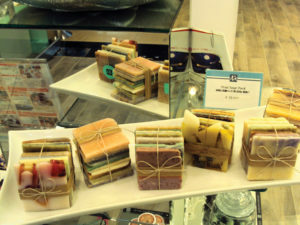 Owner: Kan Pacific Saipan Ltd.
Mariana Ocean carries more than 60 different types of handmade soaps made from more than 30 base oils, such as coconut oil and various essential oils to promote healing. The soaps are made in the traditional cold process method over a month-long process using local and natural ingredients. The Guam location is the fourth shop, following two in Saipan and one in Tokyo. 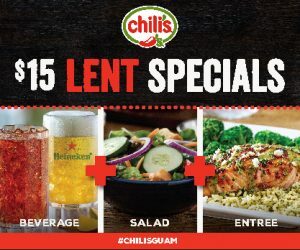 Breakfast buffet: 6:30 a.m.–10 a.m. Monday–Saturday; 7 a.m.–10 a.m. Sunday. 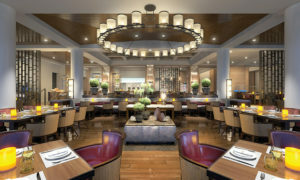 Opened on Dec. 16, Café Kitchen replaces Hyatt’s La Mirenda, combining the simplicity and comfort of café dishes with an open-kitchen experience. The all-day restaurant features a fresh counter with various locally grown produce and responsibly sourced ingredients. 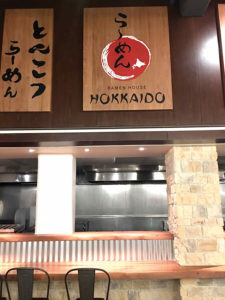 The former Rock and Roll Noodle has moved and was renamed to Ramen House Hokkaido, which seats 120. The curbside entrance allows convenience for both hotel guests and local guests. 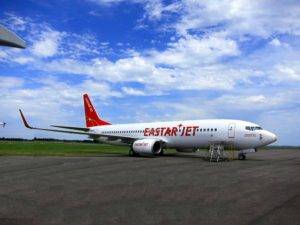 Eastar Jet started daily service between Incheon International Airport and Francisco C. Ada Saipan International Airport, using a Boeing 737-800 aircraft. The airline is headquartered in Gunsan, South Korea, and is part of the U-fly Alliance, the low-cost carrier alliance formed in January. Eastar Jet flies to eight different countries through 26 cities with 17 aircraft.